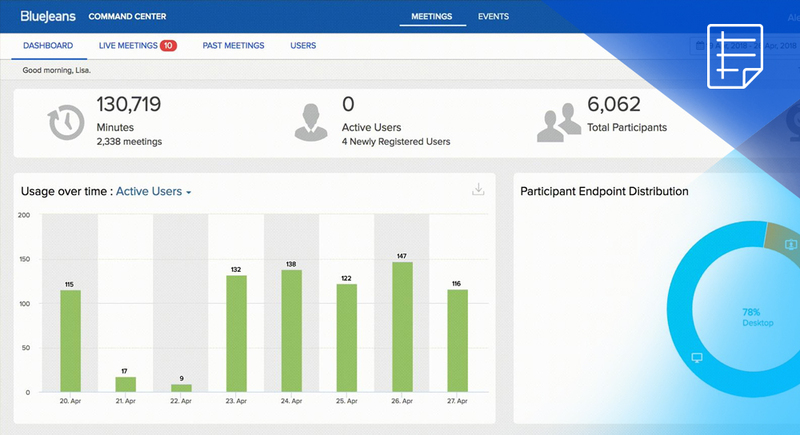 BlueJeans Command Center provides meeting analytics and intelligence to maximize workplace efficiency and productivity. The dashboard brings real-time and historical meeting analytics across all BlueJeans Meetings, Rooms, and events throughout the enterprise. With service intelligence and insights available to helpdesk staff, IT administrators, and senior leaders, organizations can quickly bring issues to resolution and make smarter, more informed decisions. Learn more about Command Center.